I know that parents tend to get excited when it comes to designing and decorating a nursery room. Everyone feels this way for sure. Of course, the theme depends on the gender of our babies but choosing one that would fit for both boys and girls would be nice too. 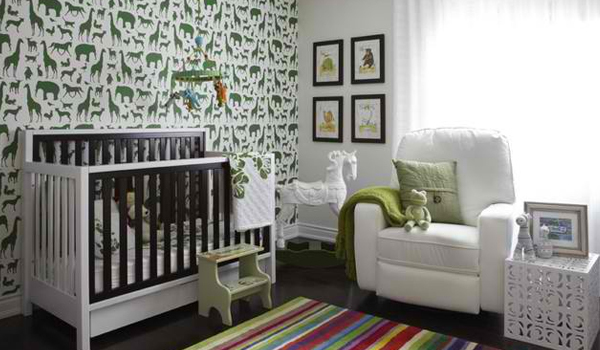 Aside from putting up the decors, we also buy furniture for the nursery to give our little ones the utmost comfort. But what is more important is the safety of a nursery. We have to take note of this to ensure that our little ones are safe and secured in a space that is especially made for them. For sure, you also do not want anything undesirable to happen to your little bundle of joy. 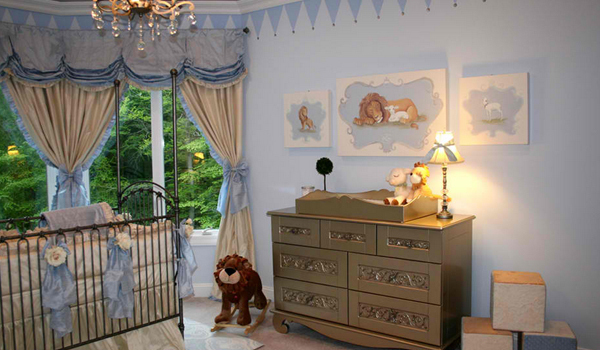 So, if you are currently designing a nursery or will soon be having one, here are some nursery safety tips to bear in mind. 1. Pick a safe and sturdy crib. 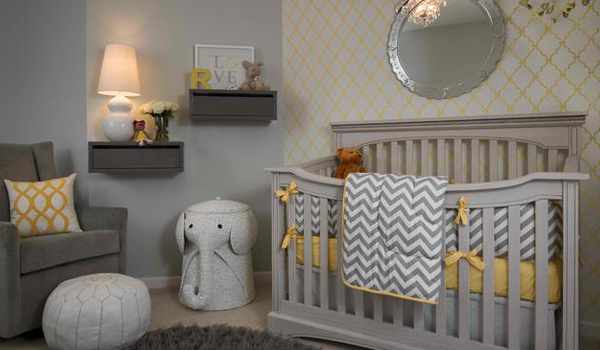 Not all cribs are perfect for your baby. See to it that you get the crib that is durable and safe. Avoid those that can be opened in one side because many accidents already happened wherein the baby fell down because of that opening. Try to test the durability of a crib before buying it. 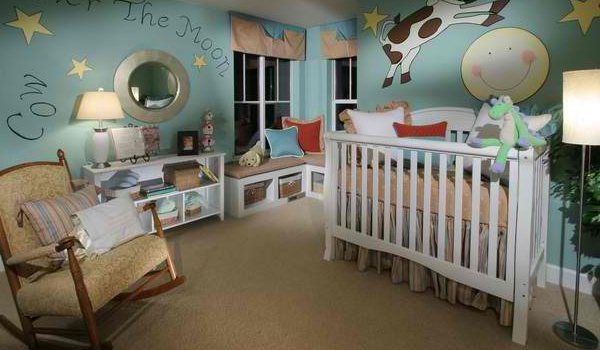 Also, it would be better to get a crib that could grow with your child to help you save money. 2. Create a safe crib environment. Since your baby will be spending most of her time in the crib, make sure that the area is free from anything that may harm her. Avoid filling it with so many toys and stuffed toys. I know it looks cute there but it might cause trouble. Do away with toys that might cause choking. Do not use a mattress that is too soft or a blanket that might entangle around your baby. See to it that the crib sheet is tight-fitting, the mattress is firm and the crib is empty from any toys especially during sleep time. 3. Put crib away from window. We know that a nursery where the crib is placed near the window looks beautiful with the sun’s light coming in. But it isn’t the safest area to place a crib. There is a high risk that the glass in the window might break. Also, if the baby could start climbing, he might climb and fall from the window. But if you really want to place it near the window, you can add window guards that are properly installed. Make sure that it has a latch so you can open it in case of fire. There had been many accidents caused by cords due to strangulation. So, be smart with the details of your window covering. If you are using blinds, there are cordless options. Also, when putting up curtains, make sure that the baby will not be able to grab it. There is a great risk that the rod might fall into them. If you are safety proofing your nursery, an outlet cover is a most. Block the little ones from putting their fingers inside the outlets to avoid electrocution. Also, avoid cords and wires on the floor. Aside from being a tripping hazard, this would make the outlet more attractive. It would be wise to keep cords really well. 6. Get a safe changing table. 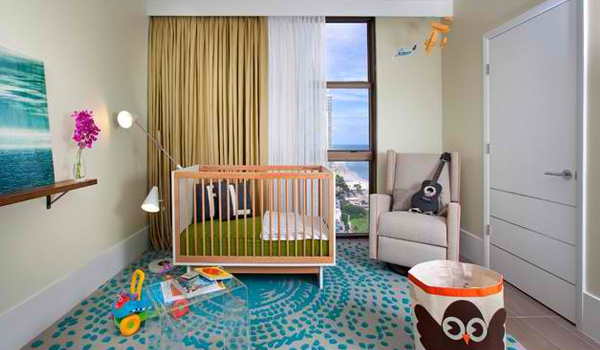 There are cribs that come with a changing table but you can also get a separate changing table too. Make sure that when you use it, you attach the safety belt well and the pad is comfy. It should have rails to keep the infant contained. When not in use, keep the belt so the baby won’t cling on it and cause danger. Also, if you are using a second hand changing table, check for exposed splinters, staples, nails and others that may harm your child. 7. Store baby care items properly. Expect that your little one will be overly curious and would get anything that they find interesting. And this includes the baby care items from powder to cologne. You don’t want them to consume any of it for this will pose poisoning risk. So, store them in a place away from their reach. If you place it under the changing table, make sure it is locked well. 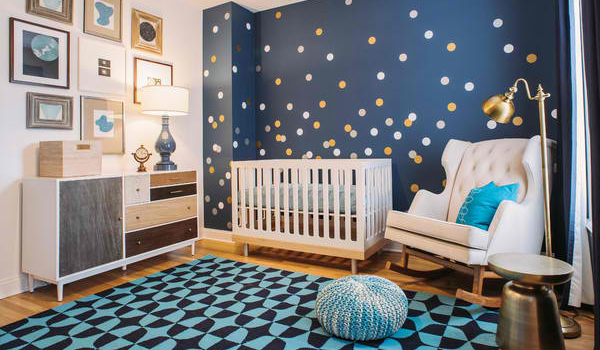 It is important to use nontoxic paint with low or zero volatile organic compounds. If you use this paint, it is safe for newborns and toddlers. 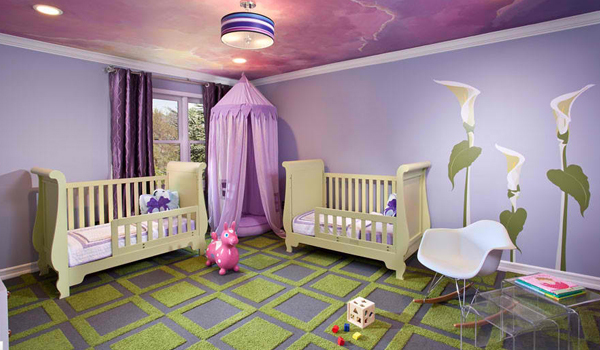 Avoid using a standard paint for it may cause some health issues and this would be doubly harmful for the babies. When babies learn to crawl they would reach whatever they want to. They might even start climbing furniture. Others use drawers to step on to get to the top. This would be very dangerous for babies. So, be sure that every furniture is secured properly. Use brackets to secure them to the wall. Also, don’t place television on top of furniture which can possibly be rocked, climbed or pushed. It is dangerous that the TV might fall. 10. Observe proper lighting and ventilation. Install lights in the area and make sure that it can illuminate the space well. You need good ambient lighting but make sure it doesn’t give too much glare. You would also need this light especially if the baby wakes up in the middle of the night. The nursery should be well-ventilated. If the temperature is okay for adults, then it is also okay for a baby. You can also think of adding an air filter to avoid harmful chemicals in the room. Since all parents want to make sure that the baby is safe, we really need to take note of the points above. When you choose furniture and add decors, see to it that you put safety first before aesthetics or anything else. 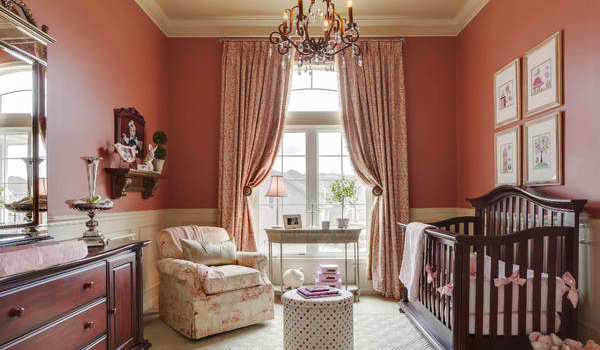 What is the use of a beautiful nursery if it is unsafe for the baby? I hope that you learned something from this post today. More tips for the home on the next days to come!